It's time to start another challenge over at Try it on Tuesday. This time around our theme is "SNOWFLAKES / SNOW". Sadly, this will be my last challenge at Try it on Tuesday. It has been such a wonderful experience and I have learned so much, but it's time for me to move on and get started on the next leg of my crafty adventure. I send out a special thank you to Yvonne who has been such a wonderful team leader, and to my teamies who have been a great source of inspiration and support! For my last challenge I decided to put together a Christmas card with the gift attached, a wee wooden snowflake ornament. I coated the snowflake with crackle paste, which looks great for the photo, unfortunately, I later discovered that the dried paste completely rubs right off!! The snowflake has a coating on it apparently, so in the end, I covered it with a chunky white glitter instead. The kraft layer design is done with some texture paste and the Art Is stencil by Crafter's Workshop. 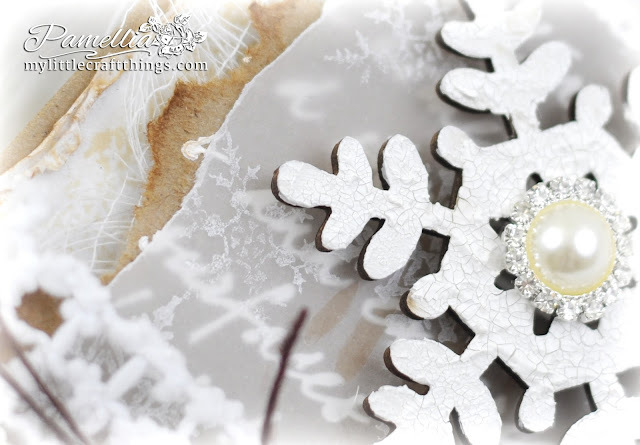 The vellum layer is stamped with white pigment ink and a couple of snowflake stamps. The very back layer is stamped with the same snowflake stamps but I used Hero Arts Soft Sand ink. The punched out snowflake is a Martha Stewart punch. Hubby and I decided to go over to the main street and have a look at what's there...I almost passed out when we drove around the corner. I've never seen anything so quaint! We didn't see much in the way of decorations in the city, it wasn't PC, to put Christmas out in public, we weren't even allowed to say Merry Christmas to people at work! So let me tell you how much I was blown away when this was how the street was decorated!!!! This was the tree in the courtyard at the end of the street. It was so big, those snowflake decorations are bigger than my head!! In the 3rd picture here, I was standing underneath a branch at the bottom of the tree, that's how big it is!!! Holy moly! 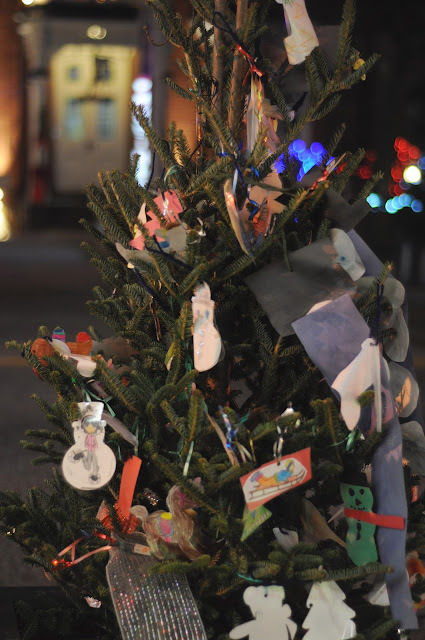 In the center of the square was a collection of little trees all decorated by ornaments made by the local children. Every tree was a different classroom or grade, and each tree had a little plaque on it, so you could read who made the decorations. It almost brought a tear to my eye to see that sort of involvement and community mentality. I AM FINALLY HOME!! Oh, and one final thing to note...the local pub, which we will be visiting very soon!! I would love to hear what sort of traditions your community has. Gorgeous card and lovely photos. Thanks for sharing, Pamellia. Super colours and design which make for a lovely creation Pamellia. More great photos as well, I don't think our traditions here in the UK are a lot different to your, although we don't celebrate Thanksgiving which seems to be the start of your holiday season. Not sure if you have Boxing Day, or to give it it's proper name St Stephens Day. Stunning card and amazing photographs of a very the very peaceful scenes where you live now-so pleased you found somewhere so special. Oh you are definitely home!!! What a beautiful place ... i can't believe that you weren't allowed to wish people a happy christmas! Baa Humbug to them! 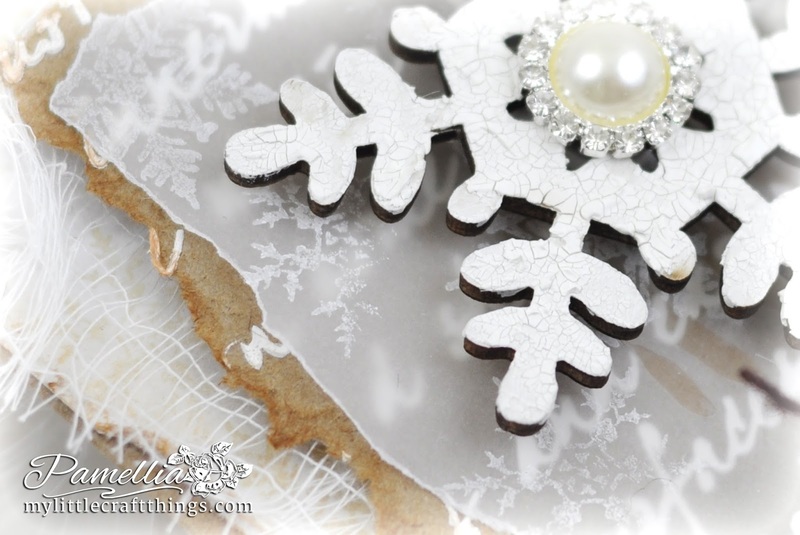 You ended up your TIOT journey with such a spectacular winter frosted card! That vellum layer is simply adorable and your crackled snowflake is just a perfect focal element! Loving your pom poms and that wonderful combination of kraft and white! Marvelous design, my friend! Lovely photos and I am so happy to see all those gorgeous decorations! In my small town we usually have an ice skating rink and lots of Christmas lights and decorated trees. Pamellia, so sad to hear this will be your last post with Try It On Tuesday, but happy the same for your next crafty adventure! what a beautiful frosty card; love that vellum with the subtly stamped snowflakes over that embossed Kraft layer--so rustic, yet so feminine! How do you do that? I've really enjoyed your evening walk on the town square. You're new town is truly a beautiful area! Such great photos...thank you for sharing this part of your Christmas with us. 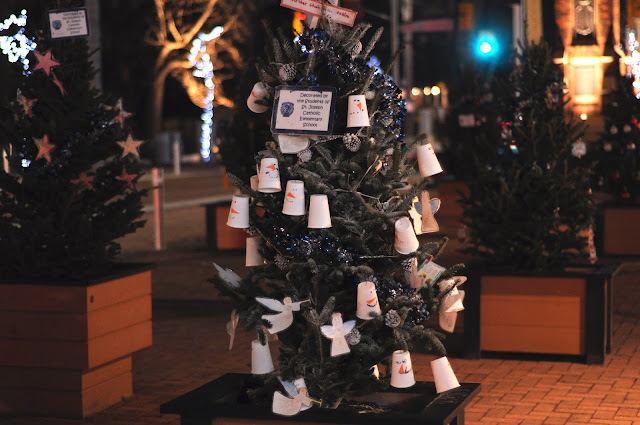 What a great idea to have those decorated trees on display, presented by the school children. We will be going to Enchanted Airlie Gardens in a couple of weeks, which is acres of Christmas lights on native trees, etc. It is a walking tour, so fingers crossed it won't be raining. Wish you could come along and put your photography skills to use! By the way, here in the states they are quickly moving in the direction of not being allowed to even call Christmas, "Christmas", but instead a winter holiday. Big hugs to you, my friend! Your card is a real stunner and as always I am speachless. Hi Annie. You know, if the weather keeps up like this, it's quite possible we will be sparking up the BBQ for Christmas too! What's up with that!! lol. thanks for popping in and big hugs to you. what a beautiful creation and too bad the crackle rubbed off as it looks sooo gorgeous ! Your neighborhood looks amazing! 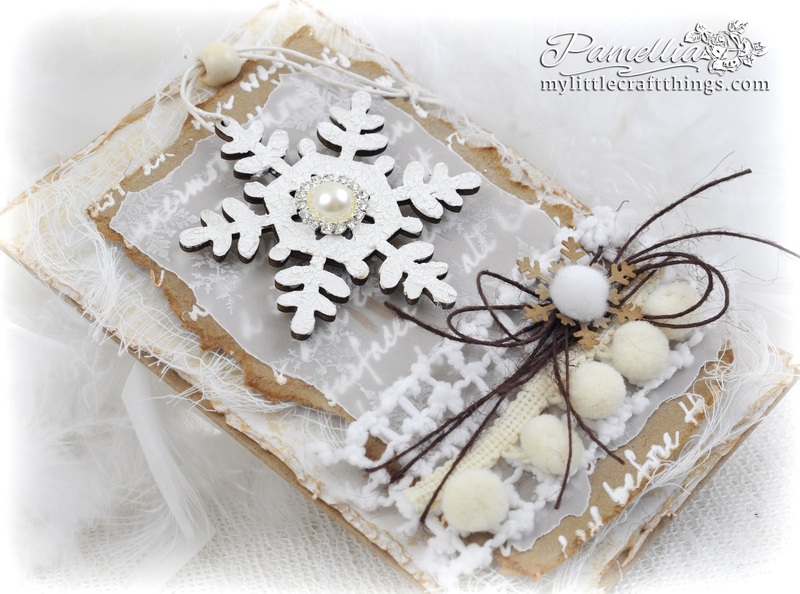 Stunning snowflake and gorgeous card, so beautiful! Your photos of the trees and lights are magical, I love the trees the children have decorated, it always brings a lump to my throat when you see the pride and pleasure a child takes in making a decoration like this and it's so lovely that their work is displayed for everyone to enjoy. Beautiful card, Pamellia! Your town looks so pretty and quaint. We love to ride around or walk the local neighborhoods to look how homes are decorated for the holidays at night. Usually take hot chocolate with us and then come home for a bit of peppermint stick ice cream. Kraft and white always works so well together and your beautiful frosty snowflake looks gorgeous as the centre piece here. What a beautiful area you live in and your fabulous photography skills have helped us to feel that we are there with you. 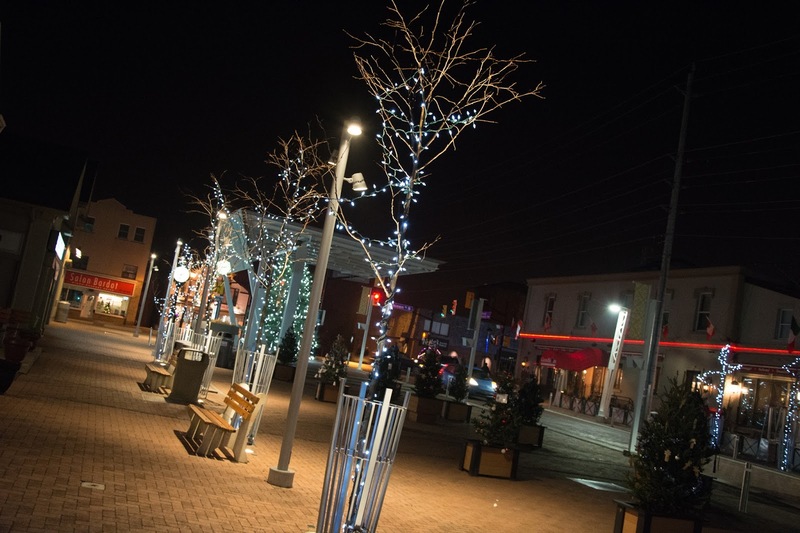 The display of decorated trees along the street looks beautiful. What a shame that 'Christmas' can not be mentioned and we all have to think before we open our mouths and inadvertently put our foot in it. 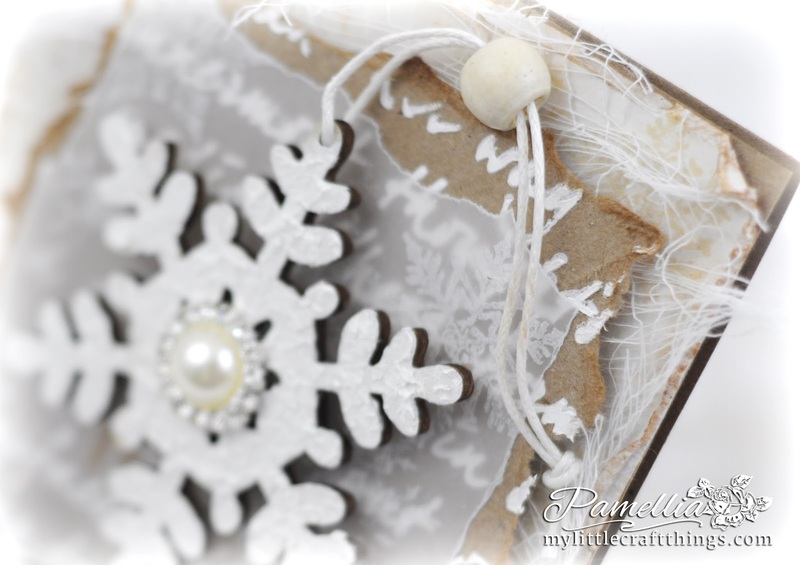 Magnificent snowflake on your card, PAmellia, and so perfect for our challenge theme. Love the photos of your community's decorations. So nice to see you playing in our "Snowflakes" challenge at Tuesday Throwdown this week. Good Luck in the draw and Merry Christmas to you and yours. Love your card and stunning photos! Merry Christmas Pamellia ! Very pretty card Pamellia! I like the colors you chose for this make! How fun to get a gift with a card which is already gift by itself!!! Fantastic job!!! Beautiful card, Pamellia! I love the combo of kraft and white! The photos of your new village are gorgeous! So glad that you are feeling at home so quickly. The blingy pearl and the vellum are beautiful touches, love this color combo! Beautiful card Pamellia. I have not experimented with vellum. It looks sheer and beautiful with the white and Kraft combo. Wow, this is gorgeous. Love the snowflake, pity the crackle did not stay. 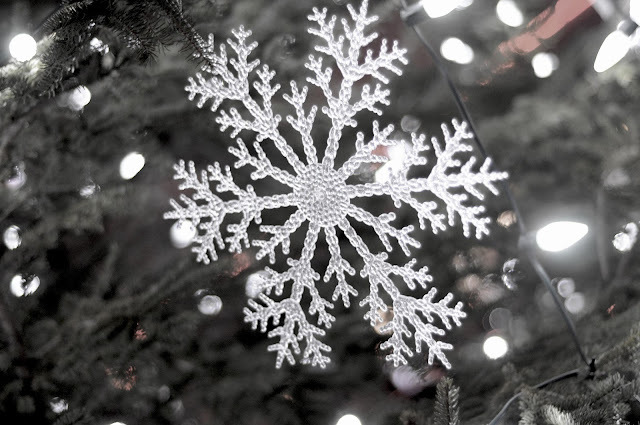 Have you tried sanding the snowflakes first? I am sure it looked just as divine with the glitter. Loved yesterdays card too, so pretty and thank you for showing all those pictures, it looks an amazing place where you live, I hope the locals are friendly lol! Your pictures are fabulous, have you had any photographic experience? I wish you and your family a very Merry Christmas and a happy New Year and thank you for your wonderful comments, supportive as always. Hi Jacquie, I would have sanded first if I had realized, but by the time it all fell off, I had neither the patience or inclination to coat it again. lol. No photography lessons. I picked up a camera for the first time when I took the photos for my business website. Had no idea what the buttons did then, and not much more so now! HAHA!! 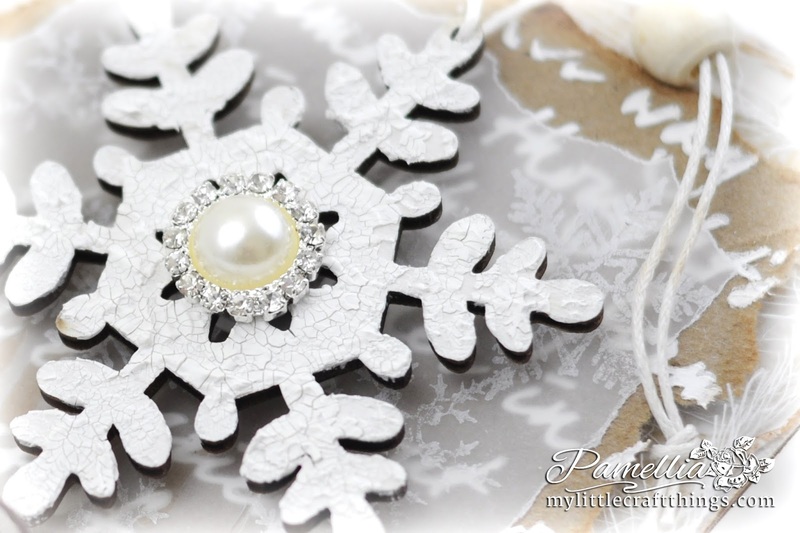 Beautiful card with a lovely snowflake! Love the photos too. WOW Pamellia...I need to pay a visit...my Grandkids would LOVE this!!! How wonderful that the main part of town is so beautifully decorated...our little town decorates BUT not like this!! I understand when you say you're finally home...nothing like small town living! Now let's not forget your card...which is FABULOUS as always my crafty friend...your techniques are all so inspiring...I just need to find the time to try them all! Have a most wonderful week Pamellia! Ohhh - that vellum looks like ice - makes me think of ice skating on the pond years ago! What a beautiful gift and card. Your snowflake looks gorgeous here - but even with the peeling later - I bet it turned out to be just a pretty a gift snowflake in the end - knowing your perfectionism!!! Just SUCH a wonderful creation Pamellia. AND... thanks bunches for sharing your main street decor - it looks so lovely. That is a huge tree - snowflakes as big as your head.... I would say something here about you having a big head etc etc but... that just doesn't fit you at all in my book!!! And no - I didn't read the above comments... if someone else said something!!!! I love the little classroom trees. Most of all - I loved the comment..."I am finally home". That made me smile really big. :) I love thinking of you in your new home with your sweet family typing from your new craftroom and knowing you are content. So deserved. Hugs. j. Your combination of textures always astound me and what you do with them, this is fabulous. Gorgeous snowy card Pamellia, but it's annoying when the crackle crackles off isn't it. I love your main street, it looks so festive. I am shocked that you don't say Merry Christmas in the city...here in the UK we wish everyone a Merry Christmas and everywhere is decorated for this magical time of the year. My heart sang for you when you said "I'm finally home" I am sooo delighted for you my friend. A gorgeous card Pamellia, as always with your special creative touches. 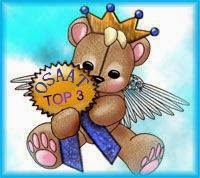 We will all miss you at TioT's. 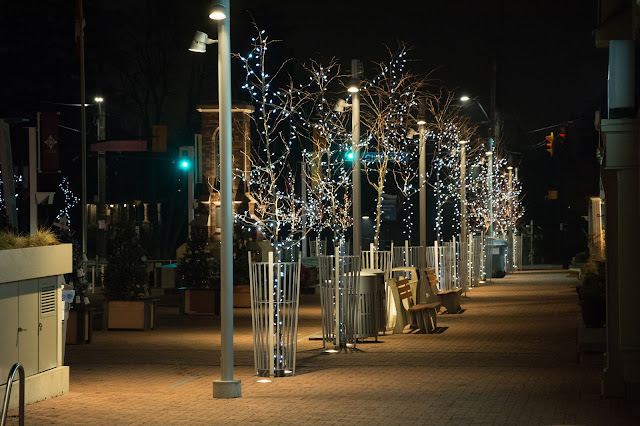 Wonderful photos of the Christmas decorations, It is good to read, about how you feel you have found your home. Beautiful card love that big snowflake will look awesome on a tree. Thanks for sharing these incredible photos such would put anyone in the Christmas mood. Here in my small town we have the lighting of the tree and Santa parade followed by hot choc. and Carol sing . I was away this year so sadly I missed it. Gorgeous card Pamellia, stunning decorations and colours. Beautiful photos, you really sound like you are home!.. Here in the UK we wish everyone Merry Christmas or Happy Christmas, we have decorations in the village and town. Such a stunning card!! I love all the beautiful layers!! Thanks for joining us at Make My Monday. A gorgeous card and gift Pamellia. It's a lovely snowflake and I'm sure it looked equally wonderful covered in glitter. 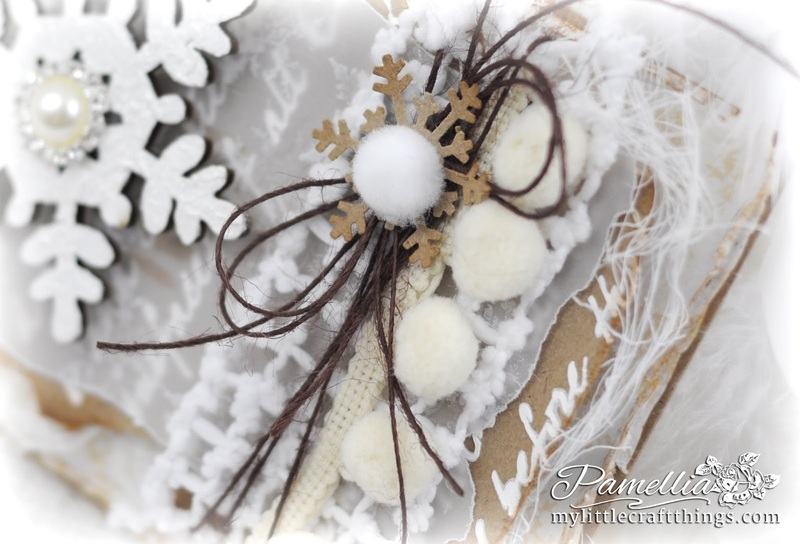 The vellum layer is perfect for adding that icy touch and I love the snow bobble trim. GORGEOUS and I LOVE the photos of your community! How BEAUTIFUL! Love your tag Pamellia - the layers and textures are beautiful. Thankfully Christmas is still Christmas here in N.Z., and we can have nativities in the local parade, decorated trees and power poles and Carols in the Park!! What a fabulous Christmas card with a gift attached. Love the idea of adding an ornament to the front that can then be hung on the tree. You are so creative! A fab card and great photos! It all looks so festive!! A great idea to add an ornament to the front! Wow stunning creation Pamellia as always Hun, love the gorgeous pictures. Wow!! Gorgeous card!! Street decorations looks amazing!! Thanks for sharing these wonderful pics :) & Hats off to little kids for lovely decorations on trees!!! This is gorgeous Pamellia, I love the kraft and white combination - such a lovely way to present a small gift. Fabulous card, with all of the layers and the contrast between the white and kraft card, and I adore those fluffy snowballs you have been using and the pretty snowflakes. The trouble is that, buy the time I get to the end of your posts these days, I have almost forgotten about your cards and am completely blown away by where you have moved to. 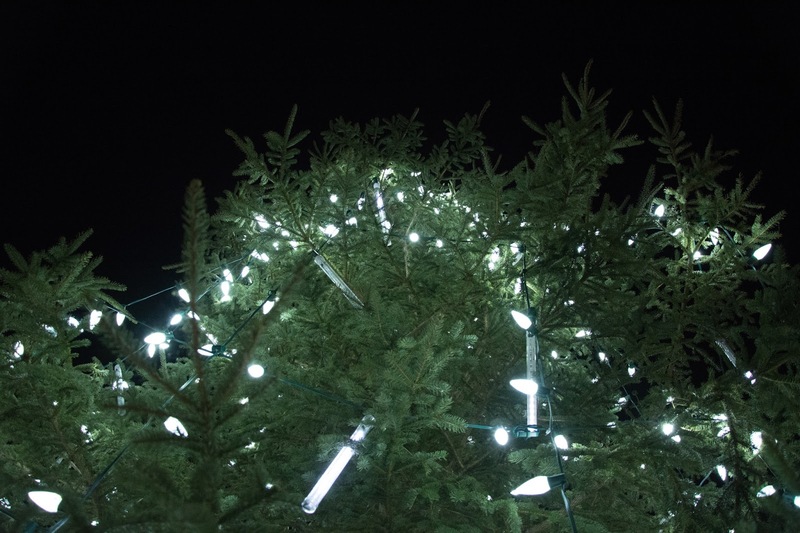 Today's post was the best, what fabulous Christmas light and, not just one amazing tree, but a whole forest of them. 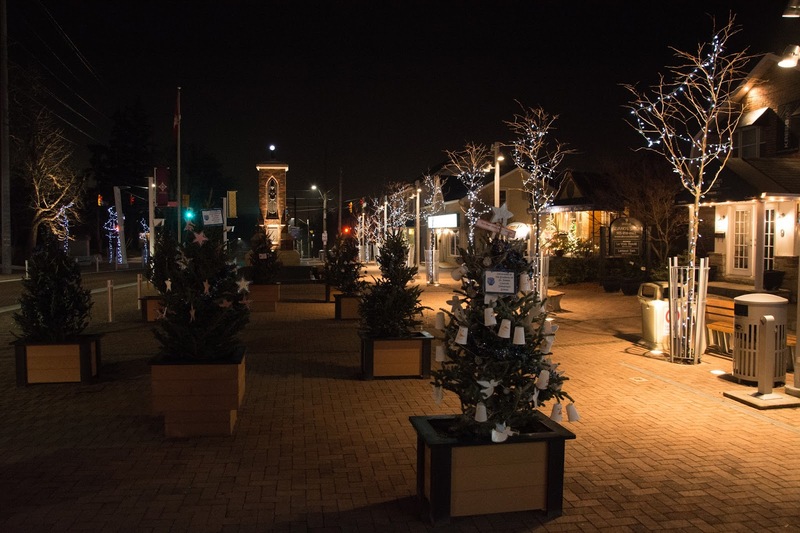 We are lucky, despite the stories which sometimes appear in our newspapers, we still widely celebrate Christmas with displays of public decorations and many small towns put on the most beautiful displays. May you continue to be enchanted. Hi, Pamellia! Your Christmas card is gorgeous! Wow, so much texture! I love the kraft and white! All of your photos are gorgeous! Looks like such a fun place to live! Thanks for the comment about my link to the colour challenge... do you mean Sugar Pea Designs? I checked the link in my list of challenges and it goes directly there. Let me know if you meant another color challenge... Thanks! Oh my, look at all those beautiful Christmas decorations. 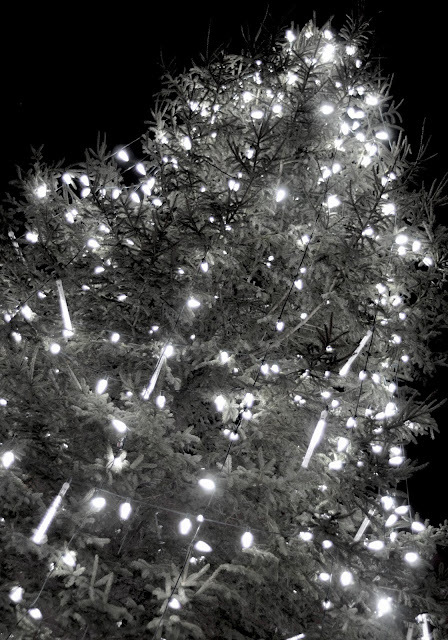 Isn't it nice when there are Christmas trees and lights and decorations everywhere? I love this time of year! It's so magical and nothing can beat the smell of cinnamon and oranges. Over the weekend they turned the Christmas lights on in my little town as well. I love it. And there are blue snowflake decorations on street lamps too. It looks really pretty. I haven't taken any pictures (yet), but I did take 2 or 3 when I was in one shopping center (in a bigger city) the other day. If I remember, I'll post them somewhere. As for your card goes, it's gorgeous. I love the non traditional colours and how you used vellum. I've had some sheets of it sitting in my drawer for ages (had to buy it because back then I had tons of ideas what I would do with it, which - of course - I never managed to bring to light). Seeing how you used it on your card might just be the kick I needed to bring vellum out of that dark and long forgotten place and do something with it. Thank you for inspiration and for sharing this beautiful piece of art with us. Gorgeous card Pamellia! I love all of the textures and that beautiful snowflake, what an awesome gift! Fabulous photos of your town, so beautiful and festive!! Beautiful project Pamellia! Love the shimmery snowflake! So fun and festive! Great photos! Vintage glittery goodness! I love the layering you did, Pamellia! Love your attention to detail...each and every element is so thoughtfully placed. Sheer perfection! Hugs! Love your snowflake so pretty. I am going to have to try this. Looks great!! Thank you for joining us at One Stitch At A Time AG with Winter Challenge. A beautiful card, you will be missed on the team. Enjoyed your lovely photographs hugs Bee. Love the vintage neutrals of the card - the little pompoms are just adorable, and I love the effect of the white text on kraft with the vellum over it - enchanting. The same word applies to the Christmas decorations on Main Street - how lovely to see it all lit up. Round here the most you usually get are some lights in funny shapes hung on the lamposts, or from lamp post to lamp post across the road, but more and more people festoon the outside of their houses with lots of lights... some tasteful, some not so!! Pamellia this is quite simply a little beauty, I love the colours you have used also the vellum and that wonderful snowflake a joyful make. Your pictures are truly awesome they are beautiful and festive I would love to be living where you are it sounds a little paradise. Pamellia I would also like to thank you so much for the comments on my large cards I have to give you quite a bit of praise as seeing your work has given me so much inspiration and confidence so a big thank you. Don't you just love the quaint feel of some towns? 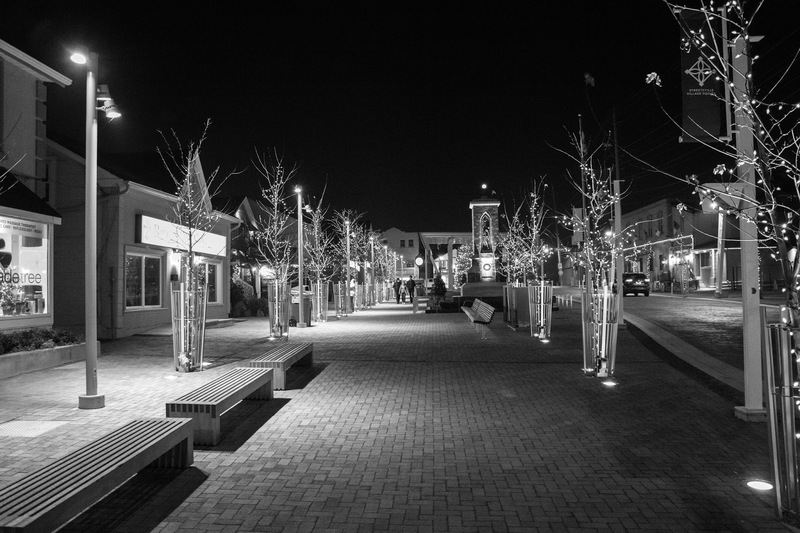 I sure do miss my small town Christmas vibe! Gorgeous decorations and lovely lights! I can see why you feel you are finally home. Love the crackled and vellumn. I love your work and will always be checking in. I'm truly in breath-taken-away awe at how beautiful your tag is; a stunning, lovely work of art! The photos you've shared of your surroundings are magnificent! Looks like you're living in a place where the joy of Christmas flourishes! 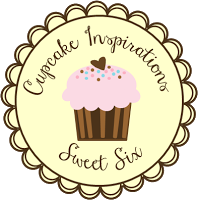 Thank you so much for joining the gallery at Cupcake Inspirations and, in turn, for bringing me incredible joy in having the honour of visiting you! Your card is simply stunning! I love all your textures and elements! So glad you joined our Let It Snow Challenge at Cupcake Inspirations! Lovely card Pamellia!! Love how your snowflake had turned with the crackle paste. Thanks for sharing with us at The Miwed Media Card Challenge! And you've done it again - taken my breath away that is. I think if I had to describe your style, I would say distressed elegance. You always know just what to pair to give a funky, cozy, charming feel and this card is no exception. Brilliant, my friend! A wonderful card and a great way to give a gift. The Kraft card and vellum work beautifully together and the pom pom ribbon and other trims are lovely. Sally.x. Another gorgeous creation Pamellia. Great photos and a special Thanks for sharing the lovely snapshots of Christmas in your area. I can't believe you aren't allowed to wish someone a Merry Christmas. It is our tradition and we should never be told otherwise. So I am saying to you MERRY MERRY CHRISTMAS! Diamonds and pearl - that's quite celebratory! Thanks for joining us at the MMCC this month. Merry Christmas to you, Pamellia! such a gorgeous card!!! love it! glad you played along with us at MMCC in December!!! Merry Christmas and Happy New Year Jenny!! 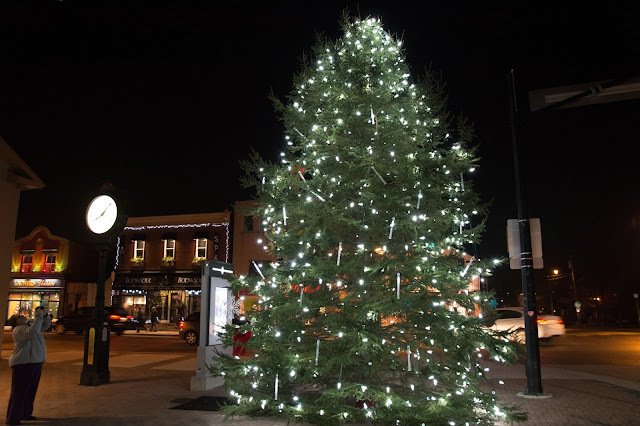 We used to live in Toronto (a very multi-cultural city) and I suppose the politicians think that Christmas is offensive to the folks that don't celebrate it. 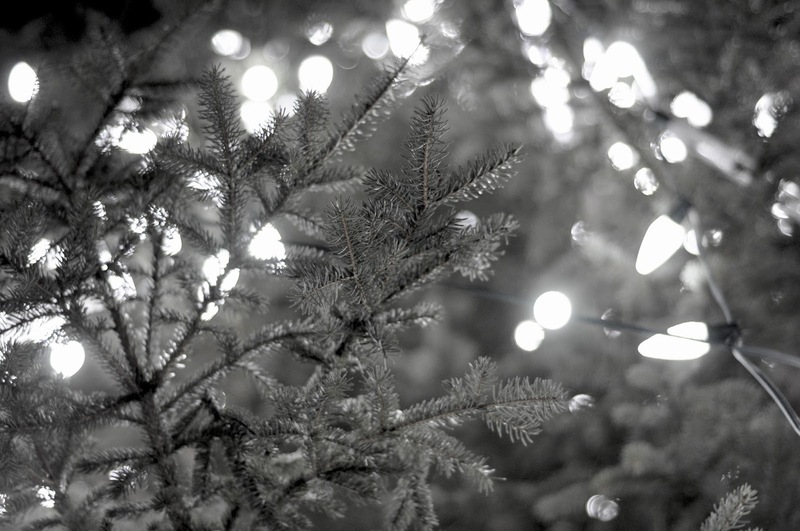 The malls and public places would maybe put up snowflakes, but nothing that speaks to Christmas as a holiday. Very sad, glad to back to a festive community where people smile at each other and strangers wish each other Merry Christmas!! I just love that!